Beastie Boys rapper Adam Yauch has died at the age of 47 after a two-year battle with cancer. 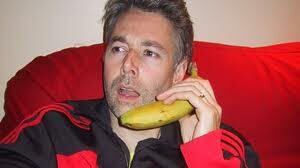 Known as "MCA", Yauch was diagnosed with a cancerous tumor in his left salivary gland and a lymph node in July 2009. He had undergone surgery and radiation therapy. Recently he was was too sick to appear alongside his fellow bandmates during their induction into the Rock and Roll Hall of Fame last month. Yauch co-founded the group with friends Michael (Mike D) Diamond and Adam (Ad-Rock) Horovitz in 1979 as a punk band, before transitioning into rap in the mid-80s.